* All fares below were last found on : Apr 19, 2019 7:36:00 AM. Fares are round trip. Fares incl. all fuel surcharges, our service fees and taxes. Displayed fares are based on historical data, are subject to change and cannot be guaranteed at the time of booking. 58% of Berlin Tegel Airport travelers were over the age of 35. 20% of Berlin Tegel Airport travelers were over the age of 60. 4% travelers traveled to TXL with kids under the age of 14. 37% of TXL travelers were millennials. 48% of TXL travelers were female. DUB, MAD, IST were the most popular destinations visited by First-Class travelers from TXL. Travelers spent an average of 10.00 days in Berlin Tegel Airport. 10:00AM - 11:00AM are the busiest hours at TXL. Every week, at least 1 domestic flights and 427 international flights depart from TXL. 522 flights arrive each week at TXL. 521 nonstop flights arrive at TXL each week. The first flight to TXL departs around 7:00AM - 8:00AM. The last flight to TXL departs around 10:00PM - 11:00PM. May was the month with most bookings for TXL airport. December was the month with least bookings for TXL airport. Known as a hub for airlines that includes of Air Berlin, Germania and Germanwings, Berlin Tegel Airport is the main international airport of Berlin, Germany. The prominent airlines offers its flights to and from this airport includes Aegean Airlines, Air Berlin, Air France, Air Malta, Austrian Airlines operated by Tyrolean Airways, British Airways, Brussels Airlines, Bulgaria Air, Germania, Germanwings, Royal Air Maroc, SunExpress Deutschland, Turkish Airlines and more. It covers destinations comprises of Miami, Malaga, Madrid, Abu Dhani, London, Vienna, Amsterdam, Newark, Prague, Paris, Sofia and others. 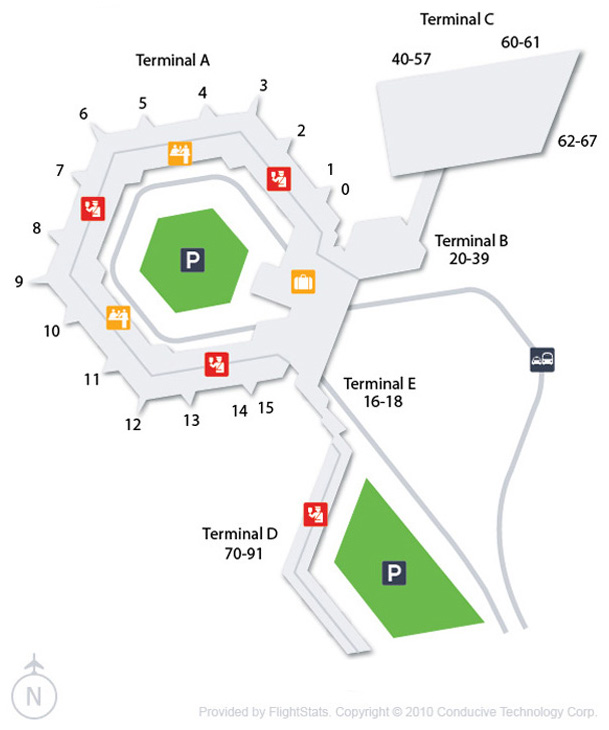 Berlin Tegel Airport is located 5 miles northwest of the city centre of Berlin and is the fourth busiest airport of Germany. This airport has four terminals that include A, B, C and D. These terminals are equipped with latest facilities and amenities. Book flights to Berlin Tegel Airport (TXL) with CheapOair! In addition to offering competitive airfares to locations most convenient for you, we provide useful information to inform your travel to TXL. Read below to learn more about TXL flights, and count on CheapOair for the best deals on all of your travel booking needs. Berlin Tegel airport is home to efficient ground transportation facilities. This airport is well-connected with the JetExpress TXL bus that runs to Beusselstraße S-Bahn station, Berlin Hauptbahnhof (within 20 minutes), Unter den Linden, and Alexanderplatz (within 40 minutes). Numerous car rental companies offer their services to the airport that comprises of Budget, Hertz, Enterprise, Sixt, National Car Rental and Terstappen. Efficient taxi service is offered by the Taxi Berlin, Würfelfunk, TaxiFunk Berlin, Quality Taxi, City-Funk Berlin and Funk Taxi Berlin. With numerous shopping and dining options available at Berlin Tegel Airport, no wonder it is called one of the best airports of the region. Fulfill all of yours shopping cravings by visiting the Bon Voyage Bestseller, Boss, B-Styled / P'NA, CAPI electronics, Lufthansa WorldShop, Sunglasses by Pfendt Airport Optic, Wolford and many more. For drinking coffee & dining best options would be Beck's Bar, Cindy's Diner, Wiesn, Starbucks and Segafredo. Berlin Tegel Airport is also offers free Wi-Fi facility, it will help you to connect with friends and family. Berlin Tegel Airport is home to spacious parking facility. This facility is spread across four parking areas with two multi-storey car parks. Find cheap hotels in Berlin - Lowest rates for all sorts of Berlin hotels!